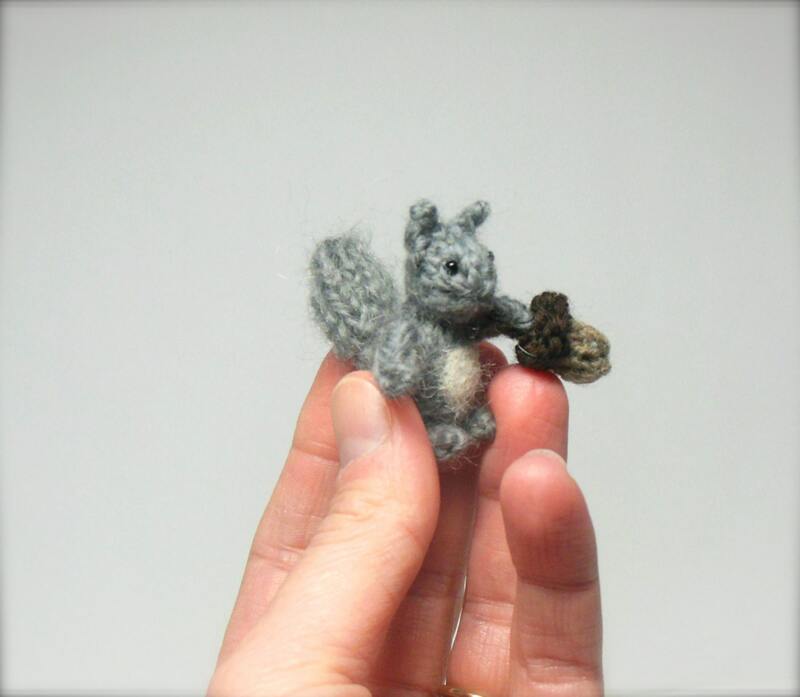 Tiny squirrel, even tinier acorn. 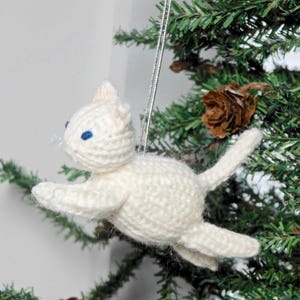 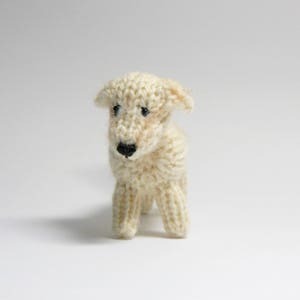 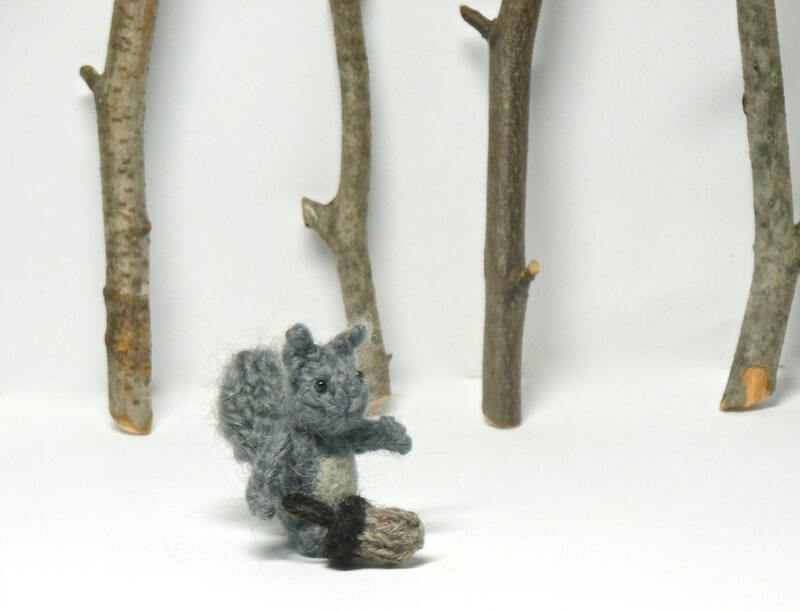 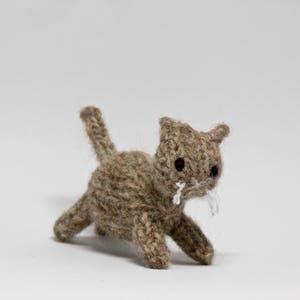 This miniature hand-knit gray squirrel (1.5 inches tall / 4 centimeters) and acorn (1/2 inches) is knit with tiny needles in an amazingly soft angora / merino blend yarn and has little seed beads for eyes. 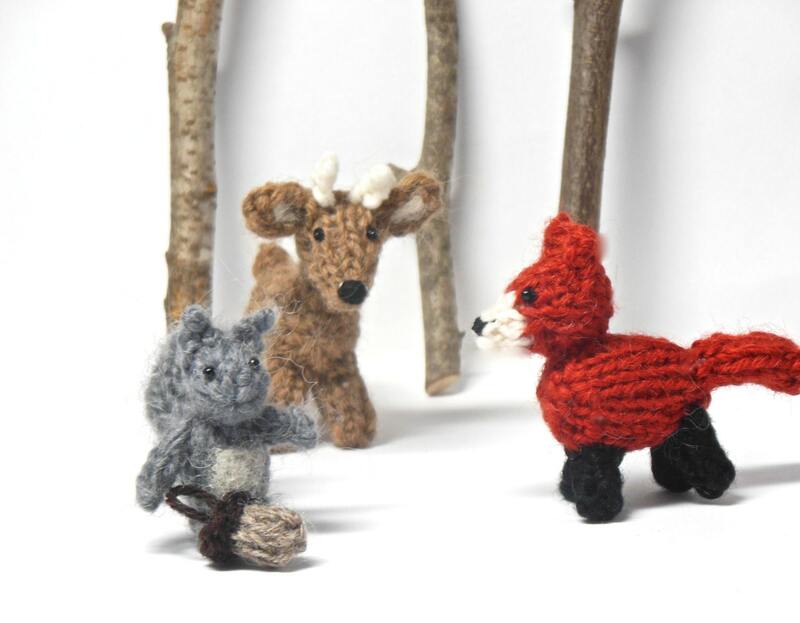 The last two pictures illustrate the squirrel with its friends in a collection setting (you will receive only the squirrel - other animals not included in this listing). 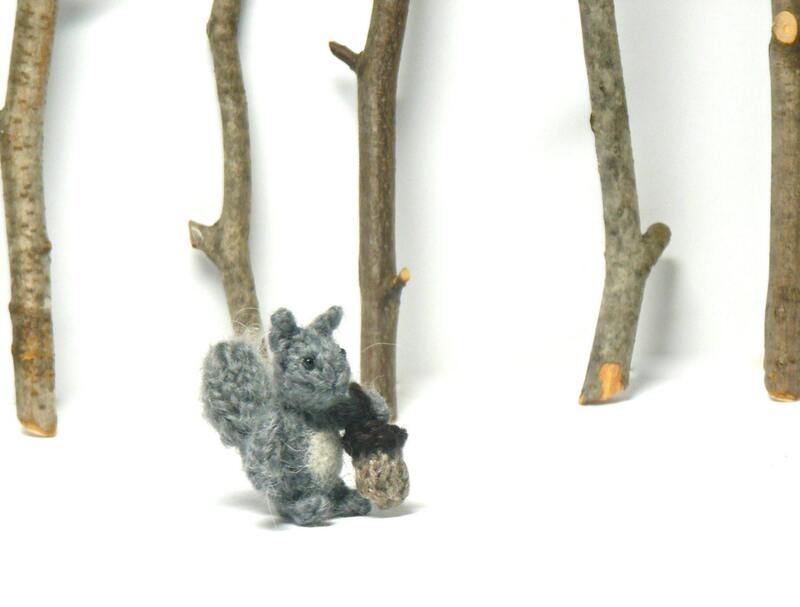 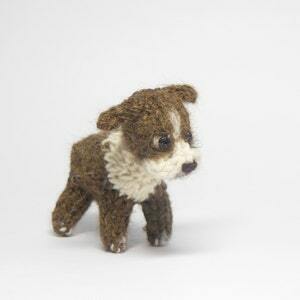 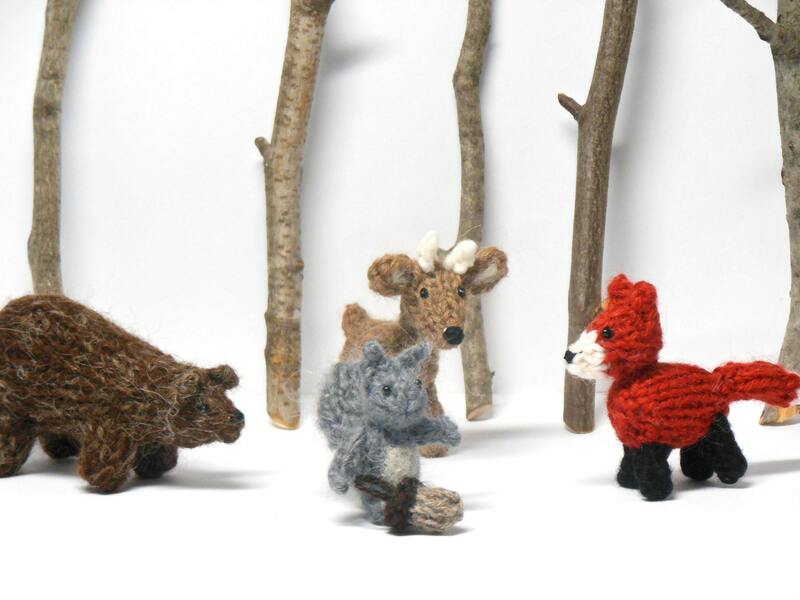 Perfect for dollhouses, miniature collections, and anyone who loves squirrels and cute things.